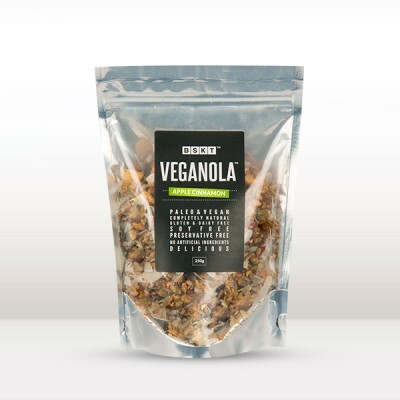 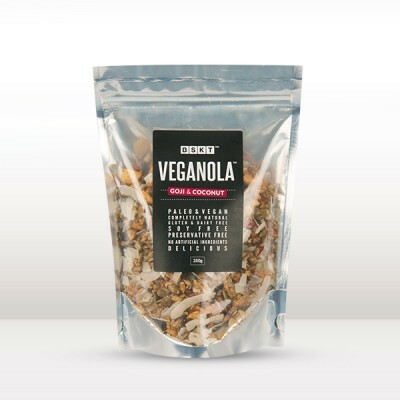 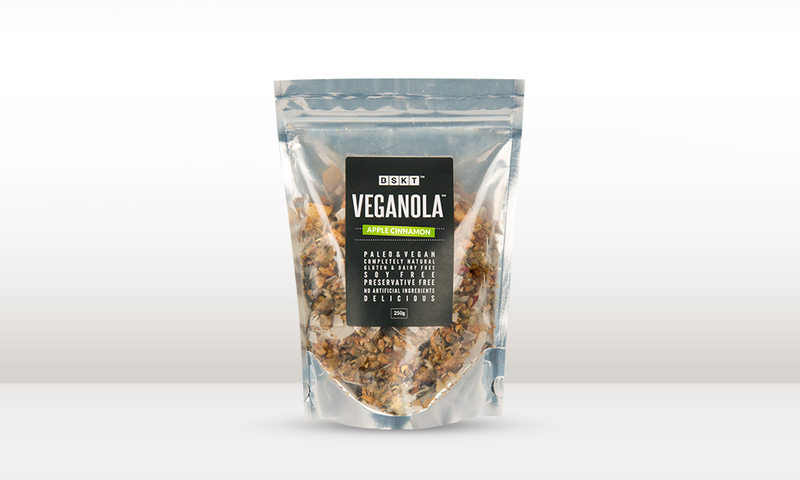 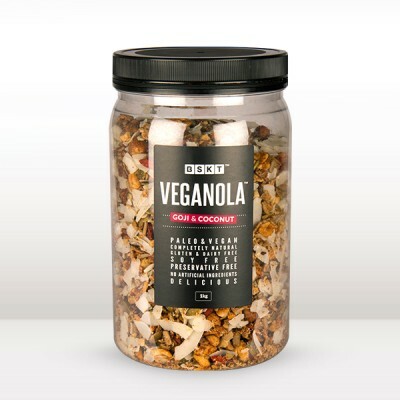 The original and trademarked “Veganola” Made with Premium Nuts, seeds & fruits coated with sweet cinnamon. 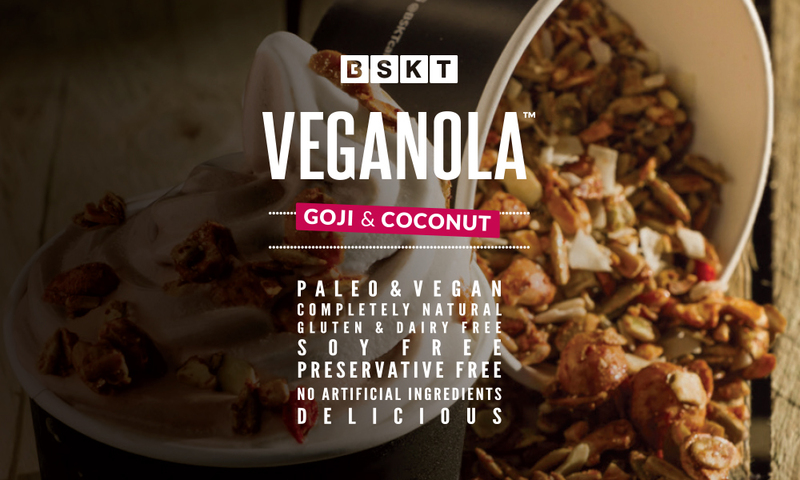 This Paleo and Vegan Granola is slow roasted to perfection with natural oils and nectars. Believe us when we say not all Granolas are created equal. 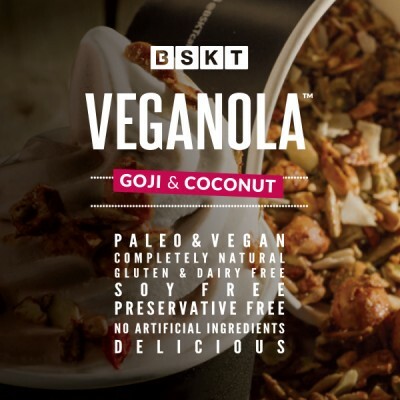 Made with the following all natural ingredients: Sunflower Seeds, Pepitas, Cashews, Organic Coconut Syrup, Macadamias, Almonds, Coconut Chips, Diced Apple, Organic Coconut Flour, Cinnamon, Organic Coconut Oil & Chia Seeds.